Lushan Yunwu is a kind of green tea produced on Lushan Mountain of Jiangxi Province. On the southern bank of the Yangtze River and close to the Poyang Lake in the south, Lushan Mountain has favorable conditions for tea trees. The tea leaves produced there are thick with distinct fuzz and the liquid is clear with a strong fragrance. Lushan Cloud-fog Tea(庐山云雾) is a sort of top-quality green tea produced in Lushan Mountain, Jiangxi Province. Originally as a wild tea, this tea was later transplanted and improved by a monk from East Forest Monastery ( Chinese: 东林寺) , which is the China’s earliest temple garden established by Buddhist leaders Huiyuan in 391 AD. And the name Lushan Cloud-fog is named after its production place. Made of tender shoots, Lushan Cloud-fog Tea (also called Lu Mountain Clouds-Mist) is characterized by elegant and prominent appearance, unveiled silver pekoe, jade green color and luster, lingering fragrance, fresh and sweet savor, as well as long-lasting aftertaste. It shares some resemblances of famous Longjing tea in favor and tastes richer than the latter. 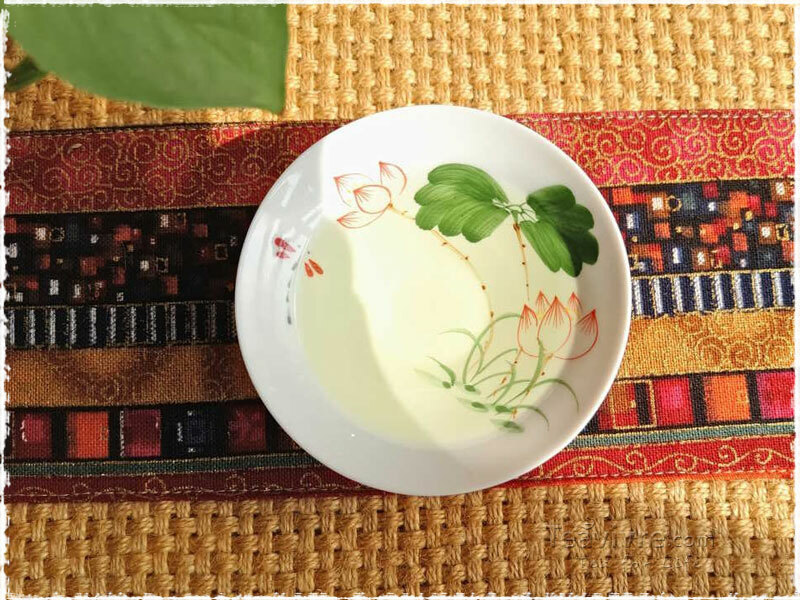 With its excellent quality characteristics “delicate aroma, mellow taste, jade green color and clear liquor”, Lushan Cloud-fog Tea has become popular in China and other countries. 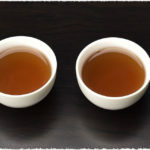 The liquor is abundant in tea polyphenol, leaf extract and long-lasting intense fragrance, with the content of tea alkaloid and vitamin C higher than that of common types of tea. Mt. 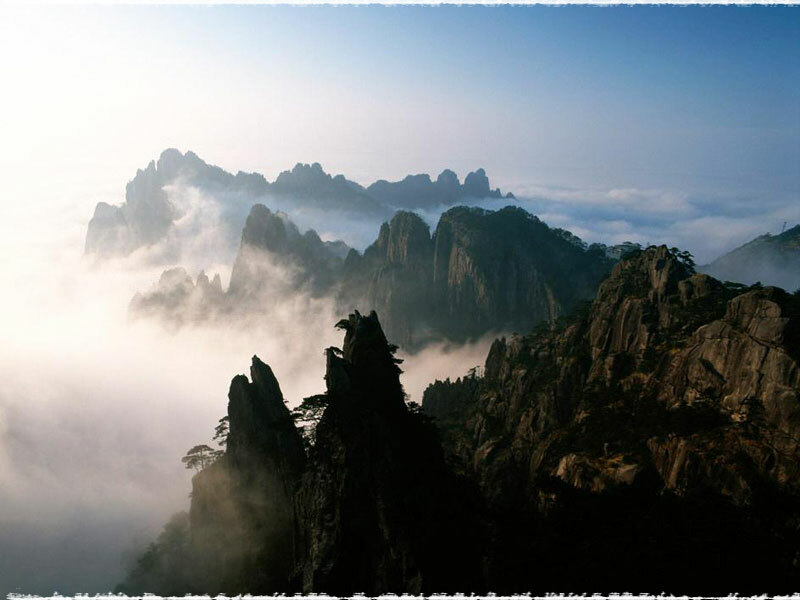 Lushan (Lushan Mountain) is located in the south of Jiujiang City of Jiangxi Province. It stands by the Yangtze River and the Poyang Lake. It is a key national scenic resort and has been included in the List of World Natural Heritages. Mt. Lushan is a horst block mountain and has been known for its majesty, uniqueness, precipitous terrain, and elegance. It has 26 peaks, 20 valleys, 16 grottos, 22 grotesque rocks, 22 waterfalls, 18 springs, and 14 lakes and pools. 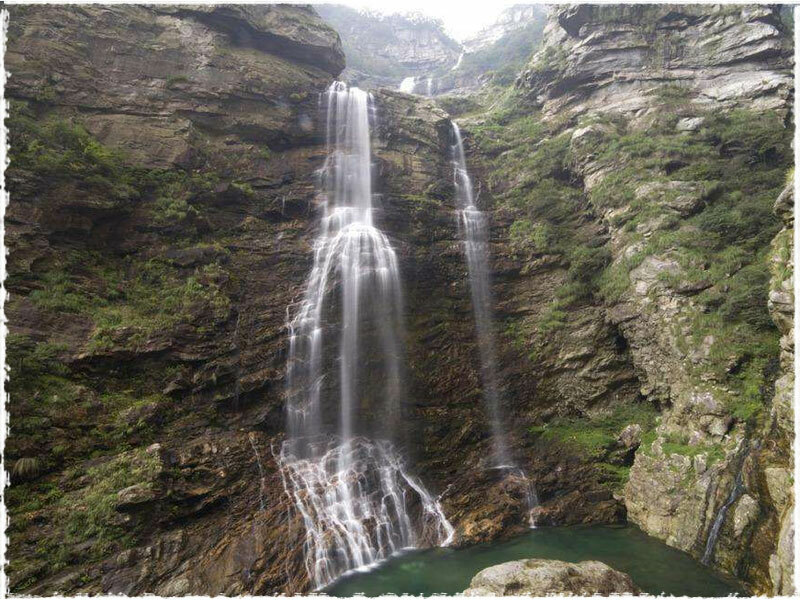 The famous Three-step Waterfall (Chinese : 三叠泉瀑布) has a drop of 155 meters. In the Eastern Han Dynasty (25 – 220), Mt. Lushan became one of the Buddhist centers of China. Lushan Mountain is featured by high altitude, great seasonal temperature difference, strong irradiation of ultraviolet, could and mist suffusion in half a year, and murmuring spring. This environment offers advantageous growing conditions for tea trees and facilitates the compounding of aromatic substances in them, thus contributing to the top quality of Lushan Cloud-fog Tea. It is said that monks living on the Lushan Mountain began to plant tea trees on the mountain early in the Eastern Han Dynasty 1,800 years ago. The period around Qing Ming Festival (Chinese: <1>清明节) is the high time for picking tea leaves, the raw material of Lushan Cloud-fog Tea. 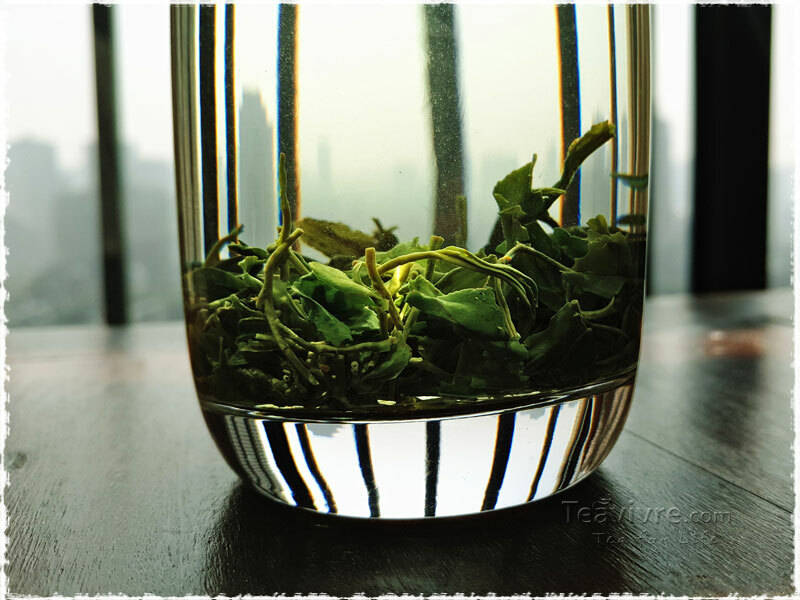 The most precious Lushan Cloud-fog Tea is “Mingqian Tea” which is made of tea leaves picked prior to the Qing Ming Festival when spring just comes back and the shoots are extremely tender. 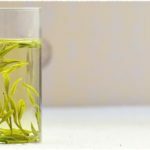 One kilogram finished tea requires over 0.1 million tender shoots. It is picked when the first bud and first leaf begin to open. Its production requires nine procedures: de-enzyming, loosing up, rolling, stir fixation, sorting out, rubbing, sorting out, tipping, and baking. The finished teas are tight, full, and elegant strips with a green and smooth appearance. The tea bud is vaguely green. The tea soup is bright and green with strong, acute, and lasting aroma and tastes sweet and brisk. 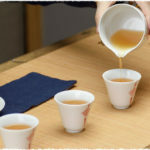 It is an economic tea which allows you at least 3 brews. It is nice to brew this tea in long glass with heated water at 85 ℃. It is suitable as you can observe tea leaves and enjoy how they move up and down. 2. Place the tea leaves into a warmed glass then gently pour 50ml (1/3 cup) of water (85℃). 3. Wait 1 minute till the leaves absorb enough water and become stretched. 4. Pour in another 100ml of water and enjoy the beauty of leaves moving in glass. 5. Brew for 2 minutes and serve. 6. You can refill hot water when there is only 1/3 cup of water left in your glass. If the taste is too strong, add hot water to the glass. Brew several times till they become tasteless.